Does Autoclaved Aerated Concrete Make Sense? Autoclaved aerated concrete looks like an attractive option for an Atlanta couple mulling plans for their new house. But other alternatives may make more sense. Image Credit: Kathleen Jardine and James Cameron This photo shows a house with AAC walls under construction near Atlanta, Georgia. A poured concrete bond beam separates the first-floor wall from the second-floor wall. When Martin Holladay visited the job site, the builder told him that there were no plans to install any exterior insulation to interrupt the massive thermal bridge created by the bond beam. As Steven Knapp and his wife plan a new house in Atlanta, indoor air quality (not energy efficiency) is at the top of their priority list. At least that’s how a recent discussion on autoclaved aerated concrete began. Knapp and his wife put their project on hold as they waited for market conditions to improve, and in the interim, Knapp says, local AAC installers largely disappeared. “As a consequence, we set about designing a house that would use conventional framing and as many no- or low-VOC materials as possible,” he says. Increased residential construction is pushing up the cost of conventional building materials, and AAC contractors are back in the picture. That’s making Knapp wonder whether the 15% premium he thought he’d have to pay for AAC construction may actually be worthwhile. While construction costs ostensibly are at the heart of Knapp’s question, the issue also touches on the merits of autoclaved aerated concrete, and that’s the subject of this Q&A Spotlight. 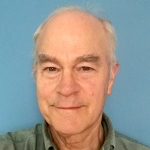 To GBA senior editor Martin Holladay, an AAC wall will never be able to compete with conventional wood framing on a cost basis. Also, Knapp adds, there is an alternative to a poured concrete bond beam that would have a lower energy penalty. “Perhaps my best course is to invite the AAC builder to bid on the project and see how it compares,” Knapp says. Holladay thinks “effective R-value is an example of deceptive marketing hype.” GBA reader Dana Dorsett doesn’t go quite that far, but he suggests caution when comparing “effective R-values” of this building material to the more reliable R-values of other wall assemblies. For starters, the “dynamic benefit for massive systems” — one approach to calculating “effective R-value” — most often cited by the people who sell AAC is based on a particular house design tested by the Oak Ridge National Laboratory, Dorsett writes, and unless Knapp is planning building exactly the same house there’s no guarantee he will get the same performance. In fact, the performance of AAC will “vary substantially” with the climate, weather and season, the actual house design and site conditions, he says. 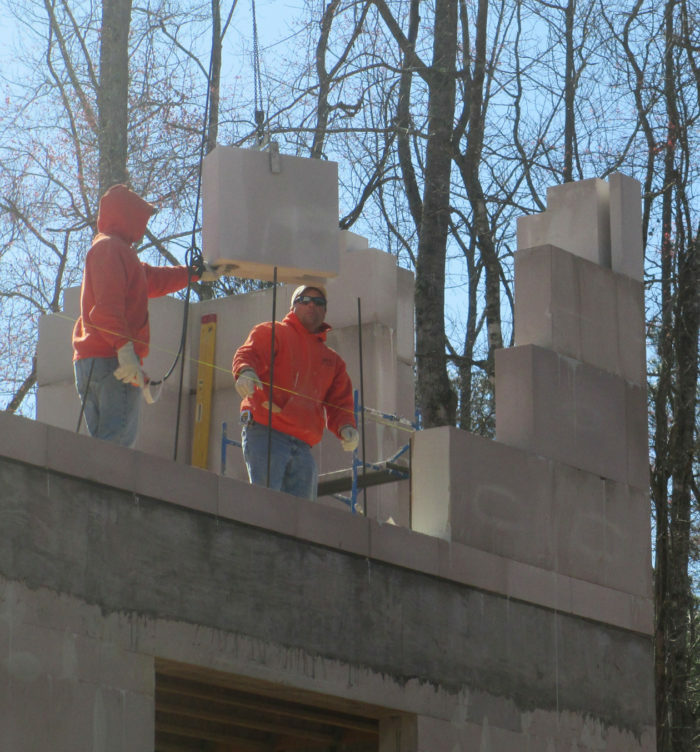 An alternative that would outperform AAC in the Atlanta area would be a wall made from old-fashioned concrete masonry units (CMUs) wrapped in 1 1/2 in. of polyisocyanurate foam insulation, Dorsett says. That wall would keep all of the thermal mass of the block inside the thermal envelope, and it would meet local codes. “But for the cost of AAC there’s usually more performance to be had elsewhere,” Dorsett says. If structural integrity and hurricane resistance is a top priority, Knapp might also consider building with insulating concrete forms (ICFs). The reinforced concrete at the core of the ICF wall will be much stronger than either an AAC or CMU wall. The conversation is enough to get Knapp to take AAC “off the table” and move forward with a stick-built design that will meet the EarthCraft House Platinum standard. While I was at the NAHB Research Center (1993–2000), we worked on AAC as part of the DOE Advanced Housing Technology Program, and built one of four townhomes out of AAC, on a Superior Walls basement foundation. The trades grew to like the block because it could be cut and routed and was relatively lightweight. The local fire department (and the Center’s insurance company, no doubt) grew to like it when vandals started a fire in the unfinished AAC unit, with no damage. That said, this was not the first time AAC attempted to find market share in the U.S., and it was not the last, although each time it simply has not taken hold. For a pretty comprehensive discussion of the pros and cons of AAC, check out the GreenSpec Insights recent blog — including the extensive posted comments discussion — as well as this UC Davis Extension paper. And it is certainly worth reviewing this ORNL paper, which assesses the energy performance of AAC, by climate. Individuals with chemical sensitivities should assess materials on a case-by-case basis, focusing their efforts and finances on materials that they know are problematic (and crude as it may be, one of the best indicators is to sleep with your materials, placing small samples of materials on your nightstand and seeing how you feel the next morning). 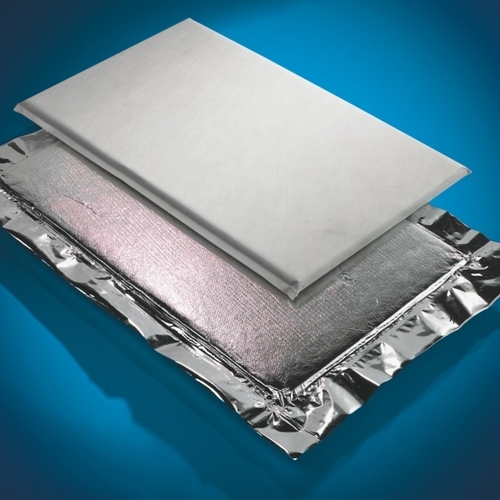 From a hygrothermal standpoint, the pore structure of AAC can vary considerably from formulation to formulation, significantly affecting its moisture and energy performance (at least one AAC manufacturer has a data file in the latest WUFI Pro materials database, but it is unclear how that applies to other AAC materials). AAC attempts to be a stand-alone building envelope system for the U.S. market, but it simply has never convinced any industry leaders or bulk market interests to sustain a manufacturing presence in the U.S. There are considerably more reasons not to use this system than there are to use the system. Just a few quick thoughts ..
but please explain what is the purpose or it ? I can understand in a poor country where manual labor is cheap and the cheap blocks can be easily made near the site, but in the US ? and condensing further in ?? Is there a large price difference than using cast in place concrete? ICF ? justifying the trade offs? Peter Yost concluded (in the last line of this article), "There are considerably more reasons not to use this system than there are to use the system." So I'm not quite sure why you are bringing up arguments against AAC. GBA is not advocating the use of aerated autoclaved concrete blocks. Some builders using AAC will use mineral-pigmented stucco on the exterior & colored-clay plasters to avoid moisture-drive related paint problems, which seems like a reasonable approach. That doesn't quite fix all the potential moisture issues one might encounter in a hot-humid climate with AAC, but it's a good start. AAC still has substantial market penetration in Europe, but as I understand it builders there are now using EPS on the exterior to achieve current-code thermal requirements. AAC is SO vapor open that it dries quickly, and it would take active chronic bulk-water wetting to end up with enough liquid water inside the material to have any real thermal effect in anything but a true Arctic or Antarctic climate. Scandinavia, Benelux, & Germany, countries where the bulk of existing AAC buildings are located hardly qualify as "...poor country where manual labor is cheap...". 1) While it is true that AAC based walls would have to be very thick if they were to be used as the sole component of a wall system based on R-value alone, the same is true for wood, so I'm not sure this should be an automatic disqualifier. Granted, actual calculated “dynamic R-values” and the like are complicated measures that are dependent on more than just a particular wall material but, as other articles on this web site have pointed out, thermal conductivity under laboratory conditions (the listed R-value of materials) is also an imperfect measure. Actual thermal performance that accounts for thermal bridges, quality of installation, etc. and air leakage are arguably more important factors. It is hard to believe that a laborer with even a modicum of training would be able to unintentionally lay AAC blocks in a manner that would cause substantially uneven thermal resistance such as badly installed fiber glass insulation might. The only way to cause thermal bridging in AAC walls would be to make choices such as using poured-concrete lintels rather than prefabricated AAC lintels (or at least lintels with reinforced concrete in u-blocks) above openings. Air leakage is a complete non-issue: unlike drywall, installing outlets or let switches need not completely pierced this air barrier. AAC walls can be built to any desired level of thermal conductivity by adding exterior insulation and are by their very nature as airtight as drywall. To build a similar shell using conventional wood-wall construction materials, one would have to ensure perfect installation of insulation in the wall cavities and perfect air sealing; neither of these practices is as prevalent as it should be, and both require expertise and entail additional expenses. The foams and caulks used for air sealing could cause indoor air quality problems, and whether the seal they provide will stand up to the house’s settling is an open question; it is doubtful that it will last as long as the seal provided by an AAC wall. In the end, one is left with a wall that involves many products with different properties, a mix of chemicals, considerable labor expenses and will not stand up to time (and insects, and fire) as well as an AAC-based wall system. Walls built using concrete masonry units offer some of the advantages of AAC walls that wood-framed wall systems do not. Both types of masonry offer some degree of fire resistance and do not mold or rot. 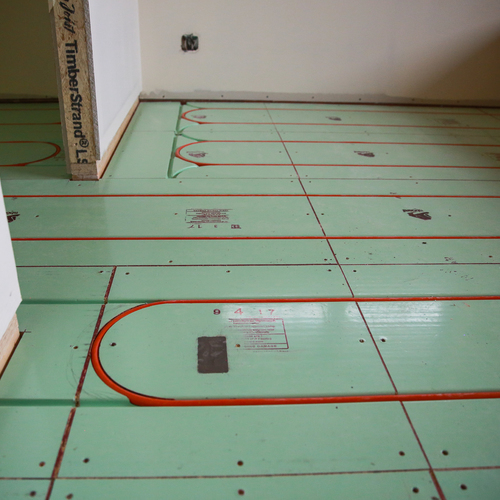 However, a CMU wall will not feature the same level of air tightness as AAC, does not insulate much (even if the cores are filled with an insulator, there’s substantial thermal bridging) and contains cavities in which moisture can condense and pool. 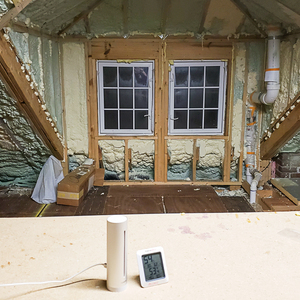 To build a CMU wall assembly that performs similarly to a 10-inch AAC wall (without any exterior insulation) would require perfectly air-sealed drywall on the interior and (based on R-2 for 8-inch CMUs) about two inches of EPS, properly installed and taped, on the exterior. Many of the same foams and caulks required to air seal a wood-based wall and the uncertainty regarding their life span would still be present, and the hollow cores of the concrete masonry units form a termite highway to the wood rafters. 2) Much is made of the fact that AAC is vapor and moisture permeable, but the complete story is more complicated. 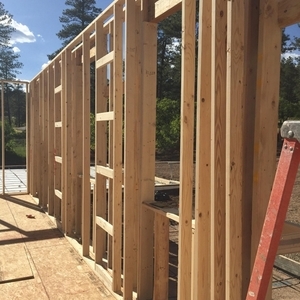 In conventional construction, water vapor management is of great importance to a large extent because the structural part of the wall (studs and sheathing) is susceptible to moisture damage. AAC on the other hand would have to be drenched for a long time to fail, cannot rot and provides no nutrients to mold; there’s also no wall cavity in which the vapor can condense and pool. Additionally, AAC should never be installed without the appropriate water-repellent exterior coating (which should reduce moisture movement somewhat). 3) Because of the danger posed by building fires, buildings with conventional walls are built with egress windows, smoke detectors, fire walls and sometimes even sprinkler systems. AAC cannot burn, thus arguably eliminating the need for some of these items (e.g. expensive sprinkler systems). AAC also stands up to other extreme events, be they flying debris from tornados or flooding better than conventional wood-based walls. 4) More than once, I have heard that AAC is not useful in the U.S. because of climatic differences with compared to Europe, either because Europe has a “mild” climate or is not humid or something of a similar nature. In fact, there is great climatic variety in Europe. The climate of (the warmer, southern part of) Sweden (where AAC originated) is similar to that of the upper Midwest, whereas Southern Italy has a climate that is similar to Southern California. The climate of the Southeastern US specifically is similar to that of Northern Italy, so I’m not sure why Atlanta’s weather should preclude the use of AAC. In fact, I believe that there are a number of AAC structures in North Carolina. 5) Another often-uttered sentiment is that the use of AAC is ill-advised because it is “new” (at least to the US market) and because there are few manufacturers or few contractors who are skilled in its installation. These are self-fulfilling prophecies and I’m sure that similar arguments were made (and are still made) for other technologies that caught on in the US later than the rest of the world, from mineral wool insulation and high performance windows to ductless air conditioners and induction cooktops. The fact is that AAC has been used successfully all over the world, from Scandinavia to Australia, for decades. 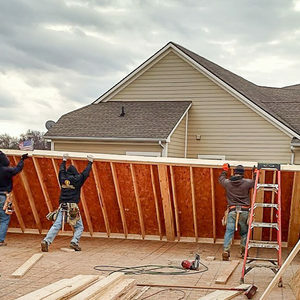 It has also been used in the U.S. and, while contractors and designers may wish to resist change and will have to learn a few new skills to work with this material effectively, the same could be said for advanced framing techniques (but I’d argue that learning to lay AAC is easy). 6) Finally, expense is often cited as a reason to pass on AAC. The cost of AAC blocks may not compare favorably to a few two-by-fours, sheathing, some fiberglass and some drywall, but this not a good comparison. It would be more appropriate to compare an AAC wall with a wall made of concrete masonry units, insulated to the same R-value and taking into account the additional expense and time involved in air sealing such a wall. A CMU wall of this type would probably not been much more economical that a wall built with AAC (though this is likely highly dependent on how far the AAC has to be shipped), but still be inferior. Dana : again you got me, i hadn't thought about "block buildings" in most of Europe. I know that cement based blocks are also popular in France. using concrete/stone/soil derived substance share the same advantage. 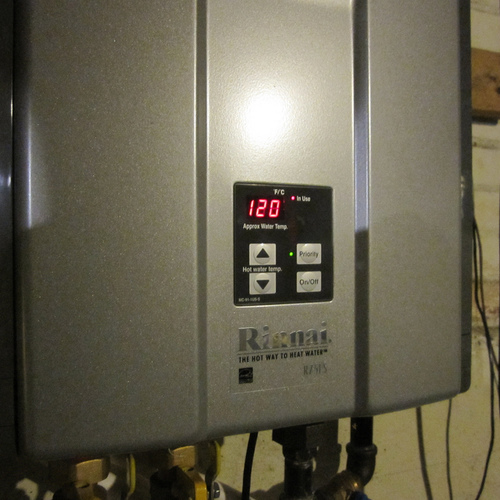 gain on the involved labor and still requires external insulation to perform correctly. What was the main factor driving this method in european countries ?? "the main factor driving AAC in Europe"
Quite simply, Europe does not have the softwood timber resources that we have. They need something else to build with. Our pine and fir trees are so plentiful and cheap that we can use them to string up electrical wires, and then when wind, snow, and ice drag the wires down, we just put up more cheap sticks. In Europe it's different. The Scandinavian countries have timber, as do other countries, but there simply aren't forests massive enough to supply the continent. (And of course, in the Mediterranean countries the forests were decimated centuries ago.) So they use masonry: a lot of bricks, stones, and blocks. AAC is a greatly improved kind of block, with a lot of advantages. The chief brand, Ytong, is manufactured everywhere. In Europe, it works very well. I leave it to the experts to debate its appropriateness for North America. ...or so saith Florian Lorenz. Comparable outdoor dry bulb temperatures do not make it a comparable climate- dew points matter. The cooler interior temps and higher exterior humidity present in air conditioned US homes presents more issues for highly permeable building materials in those parts of the US than in Europe. That said, it doesn't preclude building with AAC in GA or any other US location, but the issues need to be understood and addressed. After all, CMU buildings are also very vapor permeable, yet air-leakage is still usually a bigger determinant of interior moisture than vapor diffusion in most of these homes. CMU homes and air-leaky home in the swampy US southlands are common and seem to survive, but that's not to say they don't have issues. Yes, air conditioning can keep up with the higher latent loads of highly permeable walls, but it won't necessarily be enough save the back side of a large canvas oil painting mounted on an exterior wall of a 72F room in Orlando or Miami from adsorbing too much water over a cooling season. The vapor permeance of what you hang on the walls matters in those climates far more than in ANY European climate. Atlanta has somewhat drier air than Orlando, but it still has a mean summertime outdoor dew point is bumping on 70F, compared to 65F or less in Genoa, Milan, Rome or Venice. A difference in 5-7F for dew point may not seem like much on paper, but it's huge on human comfort & health, and on mold potential. I never imagined that my online question would turn into an interesting follow-up post. But thank you, Scott. Just one FYI, Hebel had a plant for AAC product in Adele, Georgia, for several years. (Now mothballed.) Aercon has a couple of plants in Florida and also Mexico (I believe). I read that someone was starting or restarting a plant in South Carolina. But as someone mentioned, the manufacturers seem to be having some luck on the commercial side of things. Let me also mention that I was considering Durisol before the new owners moved their plant from South Carolina to Oregon. That's another interesting -- and controversial -- product for thick-wall construction. Yeah, overall, it's hard to make a compelling case for AAC in above-grade walls. Here in the Southeast, though, it can be difficult to insulate below-grade walls, especially on the exterior. Thank you, termites. 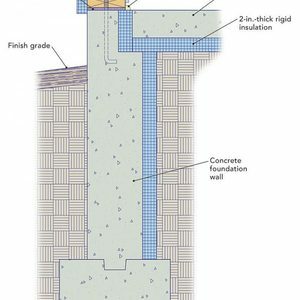 It seems to me that anyone looking to do closed crawl spaces or even basements might want to check out the possibility of using AAC instead of CMU or poured concrete. "Because of the danger posed by building fires, buildings with conventional walls are built with egress windows, smoke detectors, fire walls and sometimes even sprinkler systems. AAC cannot burn, thus arguably eliminating the need for some of these items (e.g. expensive sprinkler systems)." I have no particular beef with AAC construction, it has its merits and demerits, but this defense is nonsense. I'd like to see Mr. Lorenz try to convince a building inspector in Atlanta - or anywhere else - that a building with AAC walls should be exempt from the fire code. Perhaps if he promises that all beds and bedding, tables, chairs, floor coverings, soft furnishings and stored clothing will be made of noncombustible AAC also? He is correct that an AAC wall can be more resistant to flying debris from an extreme weather incident than a framed wall - providing of course it is built bunker-style with no windows. Stick-framed homes on the other hand are almost always a better bet during earthquakes. Allison, I like your thinking! 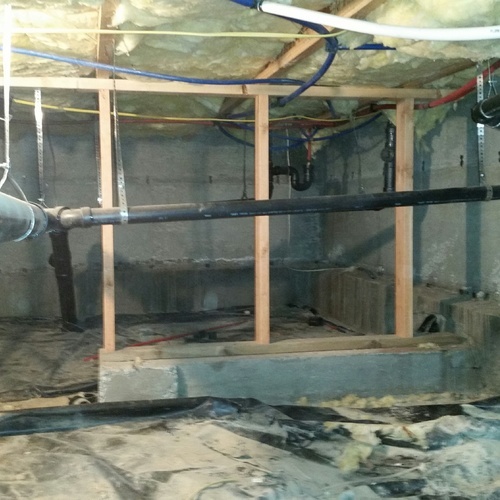 It's a GREAT way to termite-proof an insulated basement on a low-rise house in termite country, but we still have to be mindful of just how much house you're allowed to stack on top of it. Most multi-story buildings insulated with AAC I've seen in Europe were essentially AAC-clad structures where most of the load being carried by steel. It's not always going to be a simple drop-in replacement for CMU or poured concrete, not that architects and designers couldn't handle the learning curve. But for a single-story stick-framed building in termite country it's probably going to come in cheaper than ICF, is easier to finish on the above-grade exterior, and has orders of magnitude fewer insect-highway issues. I'm warming up to the concept pretty fast for locations where ~R8-R12 foundations make sense. A 10" AAC (or even a lower-density 8") would meet IRC 2009 code-min for basements up to US zone 5, but not zone 6 or higher. (But that's also where the termites live!) While there's an argument for going as high as R15-20 on basement walls in a zone-5 climate, that can be accommodated by a low-density 12" AAC, probably for less cash than an R16-R20 ICF. When I was researching AAC, Hebel was not recommending it for below grade installation. 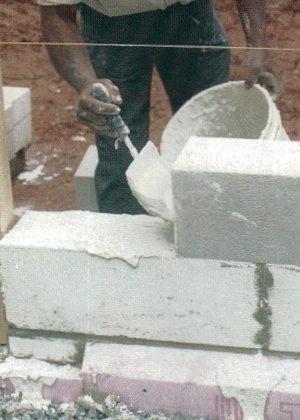 The company advised to put in a poured walled and then mortar the initial row of block. Even so, I know some installers were comfortable using it for basements and said not to worry about the manufacturer's cautions. I am ex UK and not a builder by profession. AAC is a very common product. It was brought in as a cheaper and more efficient replacement for brick where it would not be seen. I am in Colorado and wanted to use it but the nearest source was Texas and shipping costs made it cost prohibitive so used SIPS. Stick construction in the UK is associated with sheds, not something you would live in. There are of course exceptions but more solid construction is much more normal and what the market expects. Especially in a cold wet environment. The picture seems to show the use of conventional mortar, not best practice any longer. In a well insulated house AAC is just one element, even back when I built an extension with it you used only solid AAC for the foundation, then a DPC with a brick outer and an AAC inner with a cavity in-between. Now you would add as much additional insulation as you need. Compared to brick it is much lighter, bigger blocks and can be worked with hand tools. And in the UK is available everywhere, if there were Home Depot's they would stock it. Anyone know of a builder--or someone who can consult with a builder-- who is able to use AAC in the Sacramento CA area? AAC is not a superior walling product, yet far from green. In continental Europe, using AAC is not popular as mentioned by AAC makers. Without any public figures concerning how many houses in Europe made by AAC , I would go straight to assume almost no house in Southern Germany and nearby areas made with AAC. But we can see that steel reinforced concrete structure and something like Wienerberger bricks dominant the walling market. None of the houses or low high rise buildings have AAC walls here. The logic is very simple, no building contractors want to repeat the scandal in 1990s and 2000s. Who knows will the AAC becomes powder again after aging? Do not forget AAC is made with 500-700kg/m3 density. AAC is being promoted only something like secondary insulation panels from the major hardware store Bauhaus OBI or Hornbach. Their AAC promotional brochure already hints that AAC is dying in German walling market.